After a long absence, partially motivated by changing my job while organizing a VMUG meeting, I`ve found a bit of time to restart working at the blog. start /wait D:\VC\vctools\VMware-autodeploy.exe /L1033 /v" /qn VM_PATH_DATA=D:\DATA VM_DATA_SIZE=4 VM_PORT=6501 VM_PORTADD=6502 VC_SERVER_ADDRESS=vcsrv01.domain.test VC_SERVER_PORT=80 VC_SERVER_USER=VC-Admin VC_SERVER_PASSWORD=AdminPass"
Several VMware components can be installed or upgraded using command line parameters. 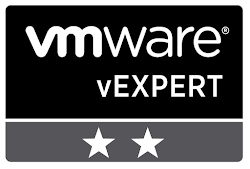 For more information see the following technical paper from VMware.